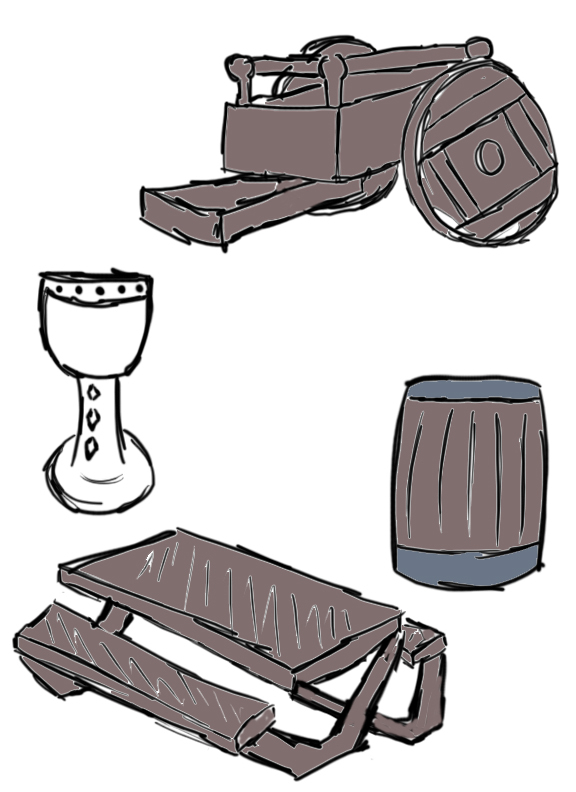 Description: Worked on creating concept work for the first few weeks on the props, armour, and clothing for our level. Then I was assigned to translating the concept work of the team into 3D models. 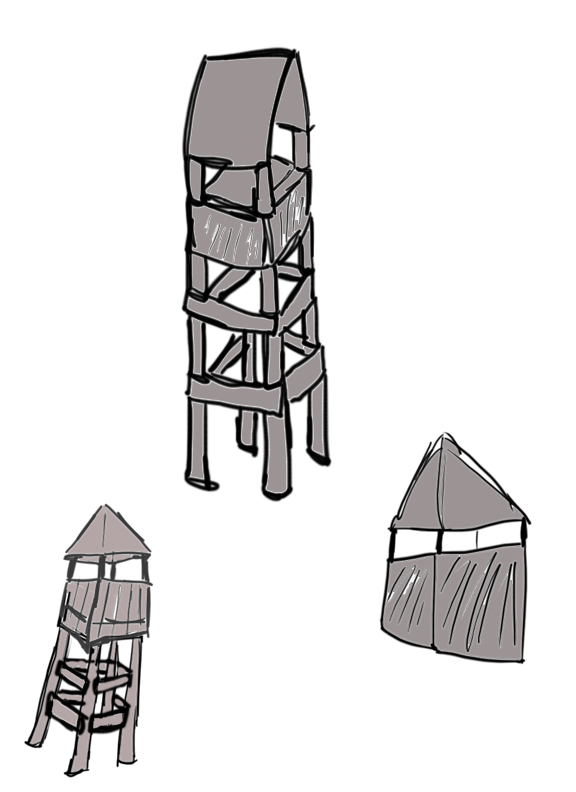 I created props and environment fillers such as guard towers. Here is the Game Statistic research I did about game genres similar to our game prototype. The .doc file is under the file section below. 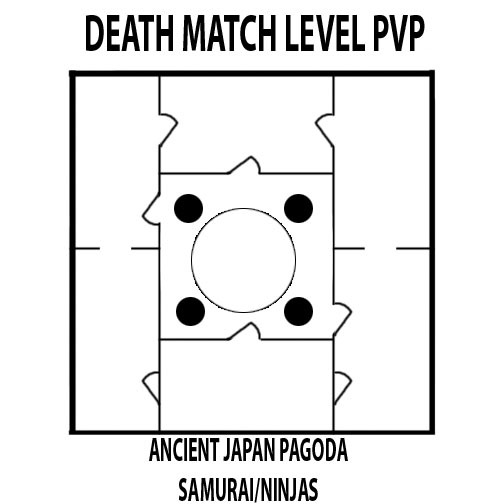 Here are a couple of PvP map ideas. 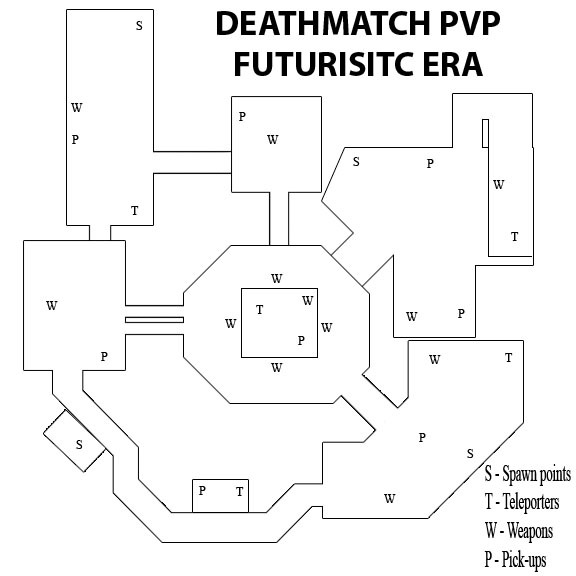 These are just simple layouts with placements of the weapons, pick-ups, and teleporters.